After serving the Lord for 20 years in South America and Spain. I wanted to reach the USA with the Gospel. 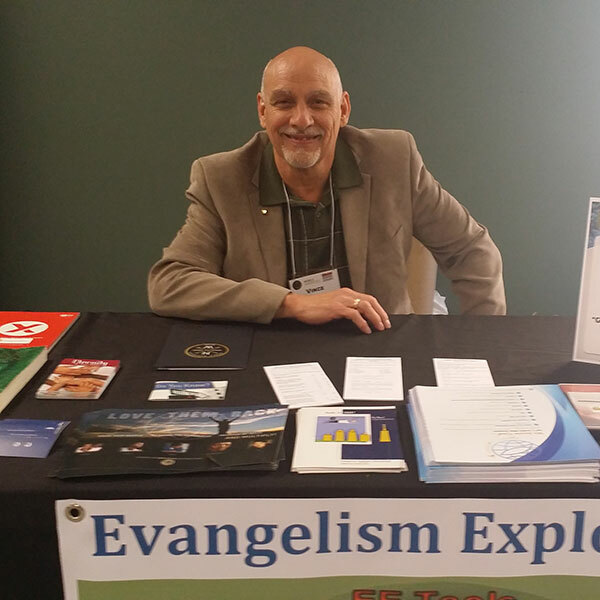 I joined EE after seeing people become equipped to share their faith in Christ through the many training’s EE offers, as it assist congregation to be motivated and mobilized to perform the task of sharing their faith in Jesus the Christ. Knowing this life is short. I have pledged to give my life to assist and train others in reaping God’s harvest of souls, as He commanded us to do in Mark 16:15 and Matthew 9:37-38. Thank you for your pledges to sponsor and for becoming a partner, we will see our efforts for eternity, as we see those who came to God's saving Grace through Jesus. God Bless You and all of your families.